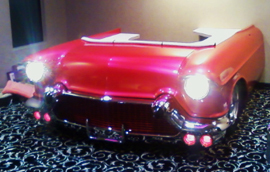 Our years of experience in custom fiberglass fabrication give us the edge on the competition. We specialize in a number of fabrication techniques to ensure that we can create your fiberglass vision. Our engineers can work with you to meet your needs for molded fiberglass parts and molds. We can work in any scale that your require; large or small. When it comes to fiberglass fabrication, remember that if you can dream it, we can make it a reality!